Todd Swift (1966) is an internationally-recognised British Catholic poet, editor and anthologist. He has published eight full poetry collections, and edited or co-edited numerous international anthologies of note. 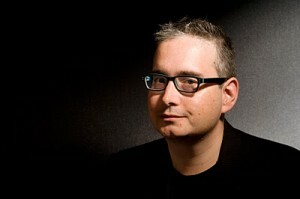 He is Director of Eyewear Publishing, and Senior Lecturer at Kingston University, UK. He holds a PhD in Creative and Critical Writing from the University of East Anglia. He was born and raised in Quebec, Canada, of Scots, Irish and English roots. It was through the process of acquiring stock for the recent Dancing in Other Words International Poetry festival at Spier, outside of Stellenbosch, that I had to liaise with Todd Swift, who is also the publisher of Hans van de Waarsenburg’s first collection in English, The Past is Never Dead. I was so impressed by this contact that I requested an interview for Versindaba; an interview to which he most kindly agreed. Thank you for this opportunity to discuss matters of poetry with you, Todd. When one looks at your CV one is immediately struck by your versatility as well as your passion for poetry. Tell us something, by means of an introduction, about this passion of yours? How did it happen that you have decided to dedicate your life to poetry and its promotion? I am glad you described it as a “dedicated life” because poetry does feel like a vocation to me. I began writing when very young (prose actually), and was surrounded by people who loved poetry and read it to me, including my mother, grandmother Melita Hume, and my aunt Bev and uncle Jack. By the time I was a teenager, I was reading and writing poetry constantly, and falling in love with poetry anthologies especially. It was a great thrill for me, as an adult, to meet one of my heroes, the poet-critic and anthologist, A. Alvarez. I have always admired poets but also those people who inspire, mentor, edit and promote poets – Ezra Pound being the heroic exemplar. That receive its flat hand there. After being judged, fair, unfair. Well, I’d forgotten about that one. Pleased to see it again. That’s a poem about my younger teen days as a Baptist. Catholicism appealed to me for many reasons, but a key one was its literary resonance, especially in the writings of my heroes Graham Greene, GK Chesterton, and Evelyn Waugh. Catholicism appeals to the dandy in me. My poetry often explores the tension between evil and good, between love and desire, and sin and hope. I also write through a via negativa, a world of radical doubt and that sliver of faith that keeps life meaningful. You were born in Quebec, Canada, and only recently accepted British citizenship. Is it possible to describe briefly – and in general terms – how you would compare the Canadian and British poetries? As an Anglo-Quebec poet, I was always more interested in, influenced by, and impressed with, British poetry. Most Central and Western Canadian poets threw off the chains of Britishness, intentionally, by the late 1960s, in the great “CanLit” moment – embracing instead a simplified Americanism, an idea of authentic local or regional speech. This has meant Canada has few if any recognised poetic masters, no Heaney’s for instance. Too many Canadian poets gave up form and eloquence and style for a red neck populism. I have always embraced rhetorical flourish, inspired by the great South African poet, FT Prince. You are also a publisher. 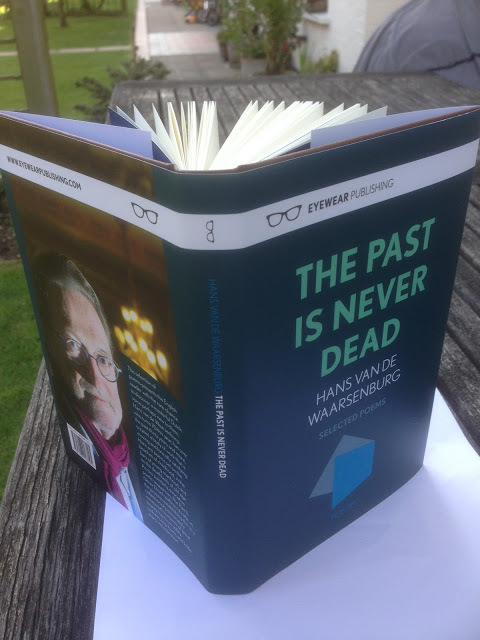 I recently bought a copy of your latest publication, The Past is Never Dead, a selection of poems by the Dutch poet Hans van de Waarsenburg. On the blurb you describe your publishing house as follows: “Eyewear Publishing is an independent press based in London, England. Strongly poetry focused, we bring readers a varied list, kept coherent by our dedication to presenting writing of the highest quality, from the UK and overseas, from new and established figures […] Our range is wide, our remit international, and our aim true.” These are exceptionally strong statements; especially in times when poetry is so much forced into the margins in so many literatures … Tell us something about the history of your publishing house? I began Eyewear recently, in 2012, with the help of a secret benefactor, who loves poetry as I do. The two of us wanted to build on the success of my Eyewear blog, which is Britain’s leading poetry blog, with over 1 million visits since 2005. I have an excellent team of freelancers, including the poet-artist Edwin Smet, who designs the great covers; Holly Hopkins, my assistant editor, a very talented poet; Maddy Pickard, my publishing strategist; and Helen Youngs, who does our social media marketing/ pr. The blurb also mentions the annual Melita Hume Poetry Prize by which you “discover, support and develop exciting new talent”. What is this about? Well, when I was a young poet I had trouble interesting anyone in my collection of poems. Editors often wrote that I needed “more experience”! I think young people have more experience than older people, paradoxically. They need less of it, if anything. Anyway, I wanted to offer a prize to celebrate young poets, and encourage them. It is getting harder to publish a single author debut collection in the UK – many presses are cutting their lists, sometimes entirely, as with Salt, which has gone from 30+ a year to apparently none in 2014. I used to run slams in the 1990s, and have moved beyond that sort of thing, though I still retain some respect and affection for performance poetry and spoken word. Poets who can read their work well to audiences are surely more enjoyable than those who mumble. However, as I have grown older and wiser, I realise that poetry is not entertainment – it is not a movie or a pop song, things I also love. Poems must first and finally stand on the page, for all time, as extremely well-made objects. If anything, I think Britain is very open to formalism in poetry. You have lived in many places in your life: Montreal, Budapest, Paris and now London. Does the place of residence have a direct bearing on your writing? I mean, are you sensitive to surroundings, or is it possible for you to isolate yourself from outside distractions while you are in the process of creating new poems? I always write with a sense of place, and my place in that environment. I am not a travel writer, per se, but I love reading travel writing, and getting an outsider’s perspective on mood, and flavour, the weather of a world. I read the following statement in regards to your poetry on Poetry Archive: “Swift has been described in Poetry London as a ‘fusion poet’, with his writing encompassing a cross-over aesthetic of experimental and traditional forms, and low and high culture. His experiences of living as ‘a perpetual outsider’ (Kate Rogers, reviewing Seaway: New and Selected Poems) have developed into a globally-accommodating approach to genre, identity and style.” Would you, as poet, agree with summation? The term fusion poet comes from my anthology, which I co-edited in 1998 with Regie Cabico, the NYC poet, called Poetry Nation. We heralded a new kind of Fusion Poetry – blending media savvy, performative skills, and an appreciation of formal poetic command. I am a broad church sort of poet, and I do enjoy eclecticism. My style may be a style of all styles. I am proud to be cosmopolitan, as the great Moderns were. Yeats, Eliot, Pound, Auden, are still pillars to me. You are also known as an expert on Irish poetry … A poetry which I personally regard as one of the most versatile and dynamic in the world of literature today. Would you agree with such a sweeping statement, and – if you agree – what would you contribute this impressive production of high quality poetry to? Irish poetry is excellent, yes, but it also has the advantages of its disadvantages. Ireland is a small nation, divided in some ways, close to the empire that tried to dominate it, working in a foreign language made its own, with a wildly uncertain economy; and a people full of passion and wit and the ability to be angry well. Its greatest fortune was to send so many of its sons and daughters to America. Americans love the Irish, so there is a huge interest in, and welcome for, Irish poets and poetry there in the US – as well as in the UK. As such, Irish poets have the ear of the huge markets, the big cultural and political players – in a way, that, say, New Zealand poets, do not. So, we need to contextualise the enigma of Irish poetic genius, and see it in terms of Irish history, and the wider history of canonisation. Still, a few of their poets are essential, including, of course, Paul Muldoon. In closing, what would you regard as the most exciting development in the world of poetry today? 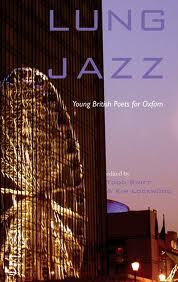 The main development in the 21st century, in the UK, is the rise of a huge generation of poets who are very competent. Poetic generations used to involve five or six poets. When I co-edited Lung Jazz, the anthology of young British poets from last year, we included over 150 poets, with one poem each. Really, this wealth of poets is both wonderful news, but also a transformative moment, because the old models for reception – publications, reviews, prizes – won’t be able to cope with this number. Something may change. Or, perhaps, most will give up in despair. This surge is directly based on three things this past decade: the rise of the creative writing degree at British universities; the social media zeitgeist starting in 2003; and a return to pamphlets, which gave young poets a start as with the Tall-lighthouse series. The big story poetically, in terms of poetics, is as I predicted, a fusion of the post-modern with the lyrical – often called hybrid poetry. There is also a groundswell of ecological poetry, which may be the next key shift; there is also a return to an interest in religion and belief. Thank you. Poetry is very painful, as is life, and the aim is to try and mine it for something to keep us going. That tends to be love. My wife Sara has keep me going when all around was a darkness. In truth, she is my real religion. Wishing you all the best in all your future endeavours. Like love will. Poetry mutters, scuttles, rebuts. Of my lack of poetry. I swoon to swim in prose. It means I can go waste my life being ordinary. Friday, May 24th, 2013 | Onderhoude. A fascinating interview. Thank you, Todd Swift. Your closing poem is a particularly strong poem. God bless. A wonderful interview! Congratulations. I do believe poetry should not be painful? It should be something like making music – shear pleasure and commitment, even (and mostly) if it is just for yourself. Baie insiggewend en heerlik om te lees! Louis, jy doen darem goeie werk, sjoe! 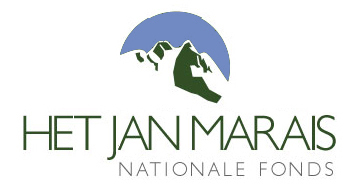 Dankie, en doe so voort. 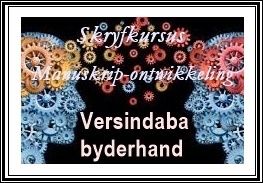 (Ek mis jou daaglikse skrywe van die begin van Versindaba deeglik – dit het my ‘n daaglikse besoeker gemaak).